The staircase is a structure, without which no structure can do. It can be very different, even a small porch for a couple of degrees is already a staircase. Today such constructions can be structures of the most diverse type. This concrete and wooden stairs, stone and metal, are very popular in modern cottages enjoy elegant glass stairs. Their cost is high, but it is not at all necessary to order a brigade for their construction. How to build a ladder, you can decide for yourself. 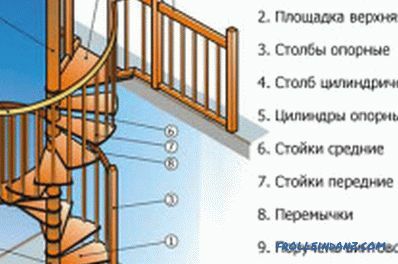 It is easy to assemble wooden or metal structures, fill concrete stairs. It is important to first decide what kind of construction it will be, whether there are opportunities for its construction, what features need to be observed. The construction process requires utmost attention; it cannot be called easy at all. 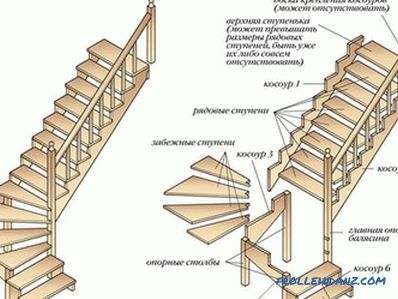 If you follow all the recommendations and rules, then in the end you can create a solid, reliable and beautiful staircase with your own hands for your own home. 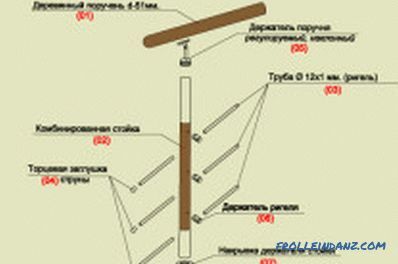 How to make a wooden ladder with your own hands? When deciding how to build a ladder, attention must be paid to design. 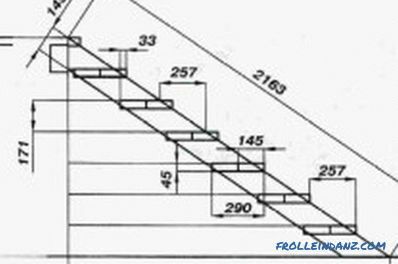 This concerns the choice of a staircase, the determination of its width, height and number of steps, and its location. The correct selection of the height of each step is important, as the convenience and safety of its use depends on it. The optimal slope of the structure is 30 degrees, in the projection this ratio is 1: 1.75 or 1: 2. To determine the parameters of the step and the riser, the average pitch value is used, i.e. 570-640 mm. Usually the height of the riser is 150-180 mm, and the tread width is 270-320 mm. 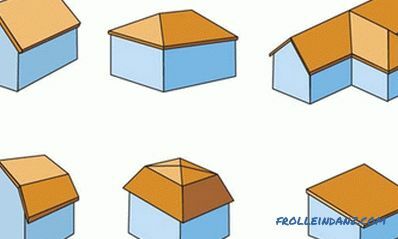 The width of one march is assumed to be 90 mm or more; if there are no enclosing structures, then a value of 800 mm is sufficient. 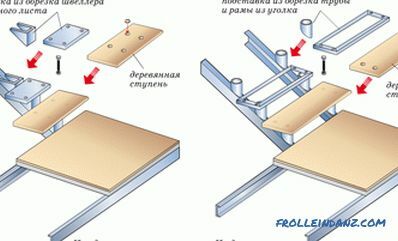 It is necessary to begin the assembly of the marches on a horizontal surface, they are already mounted with the help of beams in finished form. All the steps are put on the marches after the bow strings or bowstrings are ready. 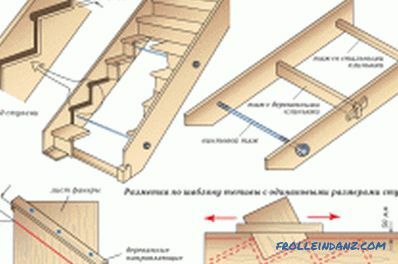 Scheme for calculating the stair structure for making it yourself. For work, you can use a dry and relatively inexpensive board, which is made of pine, spruce or larch, the thickness of the board should be 30 mm or more. The width of the board for marches can be different, it should perfectly withstand all planned loads. The risers are mounted from such a board, but its thickness can be from 20 mm. It is best to start the installation from the bottom step; the risers are mounted on skewers using the through method. After the work is completed, all fasteners can be easily masked with a putty or special paste. If the structure is open, then the risers are not used for it, but attention should be paid to how the steps and marches will be fixed. They should be as strong and reliable as possible. Spike joints are used during assembly of the main structure, ensuring reliability and durability. It turns out well to strengthen all the steps on the frame, to provide resistance to future loads. Before you begin to make kosouri or marches for the stairs, you need to consider whether there is a need for intermediate platforms. 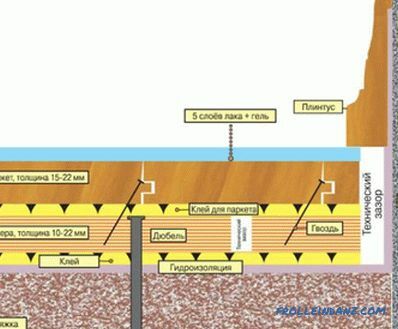 The cross-section of sawn timber platforms must be equal to the cross section of the overlap materials. To make such platforms yourself, it is necessary to use support columns, their number can be different, it all depends on the type of construction. After that, the frame is sewn up with boards to be used for the manufacture of steps. The board itself is chosen on the basis of what the steps will be during the decoration of the whole structure. For example, for a tile, a parquet board or a massive board it is possible to use furniture boards or plywood for sewing a step. The width of the interfloor area must be equal to or greater than the width of the marches . The construction itself is not necessarily such sites should be divided into equal parts, it all depends on the appearance. To build a staircase in a turning type house, you will have to make a couple of wide steps from the floor, after which the width of the structure can be narrowed. To put the stairs in the house, you have to do marches. They are assembled separately, after which they are mounted. They are attached to the base of the subfloor or to the intermediate platform of the structure itself - it all depends on what kind of ladder is being built with your own hands. A cross beam is used for the installation, the base of the march must be durable to withstand all loads.The upper part of the stairway is attached to the ceiling bolted or anchor connection. If the structure is being constructed near a wall, adjoining it, then it is necessary to fasten a string or stringing anchors. Through the brackets, it is additionally fixed with corners. When mounting support beams for overlapping is carried out, it is necessary to take into account the dimensions and thickness of the tread, the floor finishing covering. 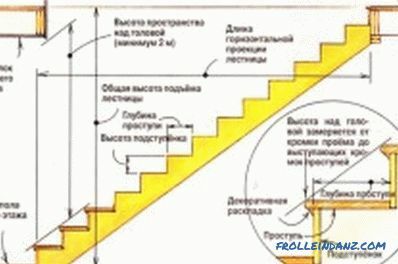 Otherwise, the installation will not be of high quality, the design of the staircase will become extremely unreliable. The upper level must be flush with the floor of the upper floor. If you do not take into account this requirement, the use of the stairs will be not only inconvenient, but also dangerous. After the staircase for the house is ready, you can install the fence. Railings are required for almost all types of structures, they serve as a means of security. 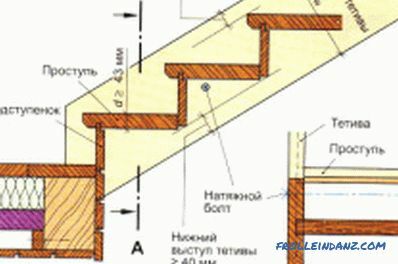 Scheme of wooden railing arrangement. The first balusters for railings are mounted, they are vertical support posts. They can take different shapes, curly balusters can be easily machined on a lathe. Intermediate racks are mounted to the steps using a groove connection or special metal studs. Extreme posts secure anchors. The upper part of the balusters is cut at an angle, it is best to do this before they are strengthened on the surface. This is done so that you can quickly and smoothly attach the railing. For racks cross section, you can use a variety: it can be square, round, rectangular. Often the pillars are decorated with carvings, which makes them decorative. The height of the railing fence is usually 900-1100 mm, if there are small children in the house, then it is planned to install the railing at the height necessary for them. The railings themselves are attached to the supporting posts with the help of grooves, they must be reliable and durable. After the staircase is ready, you need to proceed to finishing work. To do this, clean up all the garbage around, if there is a need, then finish the rest of the construction work. The surface of the ladder should be carefully examined, polished with a grinder, and then completely cleaned of dust. Next, the surface of the structure is covered with stain. Its color can be different, you can even take colorless means to fully preserve the natural pattern. 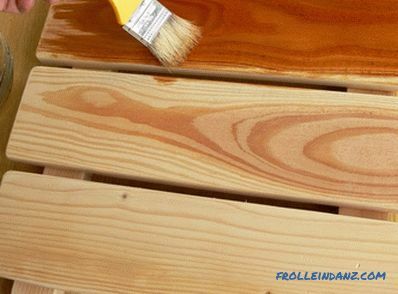 Stain is applied with a brush, the number of layers is 2-3. It is best to choose the color of the window frames and the door, the rest of the wooden elements in the room when choosing the stain. The scheme of a ladder on bowstrings. This will make the atmosphere more harmonious and attractive. When the stain dries, you can begin to self-lacquering the surface. It is best to use special alkyd-polyurethane varnishes for working with parquet. They can be matte or semi-matt, sprayed to create a beautiful and even layer, while minimizing costs. Apply 2-3 coats of lacquer, each of them should dry out. After drying, each layer must be polished with fine abrasive sandpaper No. 220. The last layer is not polished, it simply dries out, forming a smooth coating, emphasizing all the advantages of natural wood. Today, when finishing the staircase, many people use a special primer designed for working with wood. This option is usually used in the case when the surface will be painted. All materials for the work is better to choose from one manufacturer, as they are perfectly combined with each other, and dissimilar compositions can give an unexpected reaction. The staircase in the house is a construction, without which it is sometimes impossible to do. Most often it is made of wood, concrete or metal, but metal, glass and natural stone can also be used for the construction. To put the stairs with your own hands, you must have some experience with the selected materials. Close attention should be paid to the design features. This applies to the size of the steps, planning marches, platforms, railings.